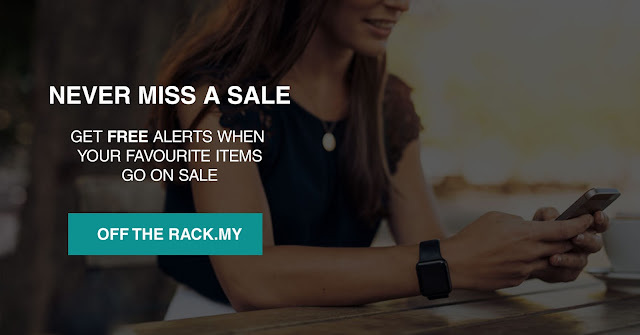 Carinn; carerynn | Malaysia Fashion, Beauty & Lifestyle Blog: Shopping/ Tech/ Lifestyle: Sale Alert on Off The Rack! Shopping/ Tech/ Lifestyle: Sale Alert on Off The Rack! Ok so you already know that I love to shop but I also love sharing so here's some exciting news to share with you shopaholics! 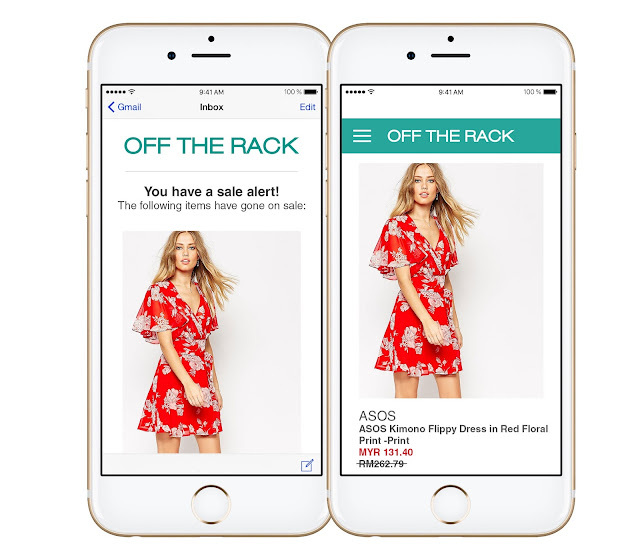 Off The Rack, a fashion discovery website, has just launched their new Sale Alerts function - a feature that monitors any item in your free alerts list and sends you an email notification when there is a price drop. So if you hate receiving multiple emails from all the shopping sites, just use Off The Rack to alert you of any sale! Just a short introduction, Off The Rack is your one-stop website that enables shoppers to find & compare from over 100,000 products from Malaysia, Singapore & UK online stores! 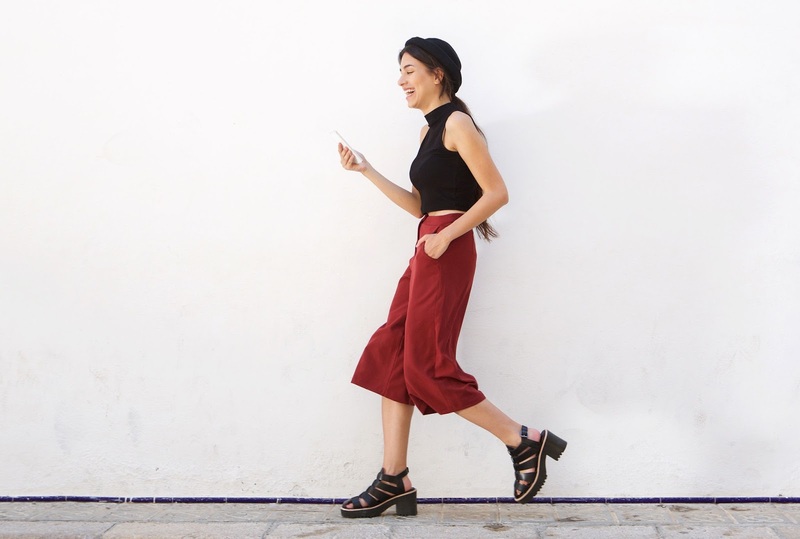 Users can upload their own OOTDs to inspire other, or get inspired by other awesome styles. For a personal style feed, users can customise their feed with brands they love to get the latest updates & trends. What's more, the 'Search' filter makes shopping sooo much easier to search for items that they wish to buy! By implementing the 'Sale Alert' feature, you can have an enhanced shopping experience - from product discovery and inspiration to purchase. It also eliminates the stress of constantly checking back for sales for price-conscious shoppers. I'll be honest, this is important to me as I'm a sale junkie and I love to find the best deals at the best prices. I always get inspired by looks that I find online and sometimes it gets a little difficult to find the exact piece that you like on one or two websites. With Off The Rack, now you can search almost EVERYWHERE for the items that you want to recreate a certain look! What are some of the online shops on Off The Rack, you ask? Well, there's ZALORA, ASOS, Reebonz, Poplook & many many more! So convenient right! How this feature works is very simple. When a user saves an item on their Sale Alerts list (kinda like wishlist), they will receive an email notification when the price drops. Just click the "Get Sale Alert" button below the product! After that, you can buy directly from the online shop at the preferred (and lower!) price. No need to log in log out of various sites just to check the prices haha. Savings just got easier! So my fellow shopaholics, it's time to be a smart consumer and check out Off The Rack now! Save time, save money! Disclaimer: This is a sponsored guest post courtesy of Off The Rack. THis is such a great and helpful app Carinn, this will help all the shoppers who love checking stuff on sale online. :)Thanks for sharing!